Two years ago I interviewed H. W. Crocker III — popular historian, novelist, and former political speechwriter. Crocker predicted not only Donald Trump’s election, but that he would govern as a pro-life social, economic, and foreign policy conservative (check, check, and check). 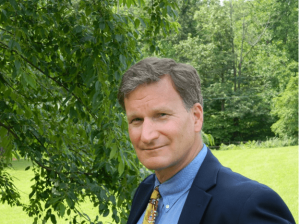 He is also the vice president and executive editor of Regnery Publishing, which put out my new book The Politically Incorrect Guide to Immigration. Last week, Crocker published a controversial essay in The American Spectator titled “America’s Next Civil War Will Be Worse than Our Last,” which was picked up by Real Clear Politics and The Washington Times. I asked Crocker to talk about that essay and about his new politically incorrect novel Armstrong, which publishes August 14. The Washington Times called the headline of your American Spectator piece “alarming.” Did you mean it to be? Not really. I thought it stated the obvious. My friend Ted Nugent posted the piece on his Facebook page with the note: “Read this twice. Know it. Spread it. Pray for America like you mean it.” That’s about right. You argue that America until recently had a common culture, and that we no longer do. Yes, I think that’s obvious too. Not long after the Civil War, you had Northern politicians and writers praising Confederate General Robert E. Lee as an American hero. Now we’re not even allowed to see his statue. Heroes of America’s past stand banished, repudiated, and condemned. Making war on your past is no way to build for the future — unless, say, you’re a Bolshevik or a Jacobin. They really are that ignorant. I’ve read a heck of a lot of Civil War memoirs, and the discourse of those books — ranging from generals to enlisted farm boys — is so far above what spews forth from our academics, commentators, and bloggers today as to make you weep. You get a sense not just of people with a common culture, but with serious, independent minds. About fifteen years ago, George MacDonald Fraser wrote that the great conceit of the younger generation is that they’re the freest, most enlightened, and most tolerant in history, when in fact compared to his generation, the generation that fought World War II, they don’t even know what freedom is. His generation said and thought what they liked. The Left’s Ministry of Truth hadn’t conquered all before it. And things are even worse now. I’m afraid it is, but The American Spectator essay wasn’t meant to add fuel to the fire. It was meant to help douse it. I mention two things: we need to stop the Left’s war on our past, and we need to lighten the mood a little. Yes — we need to recover the simple, unaffected pride in America, and America’s past, that we once had. Have you ever read Ray Bradbury? Some people dismiss him because he’s a science fiction writer. A lot of his best work captures a reverent sense of the old Middle America — even if the story is set on Mars. Of course the Left hates Bradbury now, because they’re the book-burners of Fahrenheit 451 — and I mean that just about literally. They jumped all over him after he criticized political correctness. Tell me about your novel Armstrong. 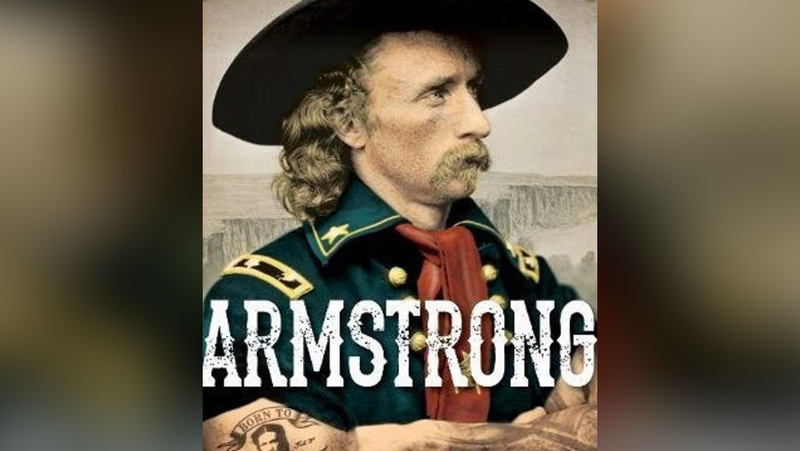 It’s a comedy about George Armstrong Custer surviving the Battle of the Little Big Horn to become an anonymous, do-gooding, gun-for-hire. It’s full of action and some real history. I remember Alistair MacLean wrote Where Eagles Dare for Richard Burton, who wanted an adventure story that he and his stepsons could enjoy together. That’s what I wanted to do here. Write a great, funny, rip-roaring adventure story that fathers can read for pleasure and pass on to their older sons. It’s a nostalgic, positive recollection of our past; it’s meant to kick off a series of “Custer of the West” novels. Does it come with “trigger warnings”? [Laughs.] No, but I suppose it should; there are plenty of triggers in it. Well, there’s a fair bit of gunplay. And there’s a positive portrayal of a former Confederate officer. When I was growing up, innumerable Westerns — books, movies, TV shows — had former Confederate officers as heroes. Now we’re supposed to see them as proto-Nazis. That’s just insane. No, he was a Union officer, but in the book, he has a sidekick who is a former Confederate officer — and that’s real enough. I mention in The American Spectator essay that Custer stood as a groomsman at a Confederate officer’s wedding in Virginia during the war! [Laughter.] He liked the Southern cadets at West Point. Their Cavalier spirit was like his own. So you portray Custer as a hero. Yes — even if an over-the-top one. And I suppose that might require a trigger warning too! Last year, the fast-food chain Sonic yanked a harmless, silly commercial. It featured one guy, dressed as Custer, sitting in a car with his friend, who insists on equating the restaurant’s custard with “General Custard.” Apparently the mere mention of Custer’s name, or his appearance, is now deemed offensive! (He led wars against the Indians, you see.) So maybe the jacket of the book — which is great by the way — needs to be covered in a brown paper wrapper! Yes — we need to recover the simple, unaffected pride in America, and America’s past, that we once had. I anxiously await “The Bad Catholic’s Guide to White Nationalism and the Patriarchy”. Not to ignore the FEW great blacks and women who helped, but it was mainly white men and that is the problem. Note I’m from the Equality State, and the women here had the vote in 1869, but the fragile flower snowflakes, Susan B Anthony and Elizabeth Katy Stanton who could have simply voted with their feet, instead went all paleo-SJW instead. Wyoming is simultaneously the Cowboy and Equality state as it recognizes that bulls or bucking broncs like Steamboat featured in the logo don’t care if you are male or female, gay or straight, cis or trans, Christian, pagan, or atheist, it will try to buck you off and you can either go 8 seconds or you can’t. Historically, anyone who could deal with the barbarians, blizzards, and beasts had no problems. Wyoming was not and will never be a safe space, as tourists to Yellowstone often find out the hard way. Also note Wyoming Catholic College could only exist in Wyoming. Campus: bans cell phones, encourages open carry. Search: “fr z gun free zones wyoming catholic” sans quotes and find the wdtprs link.